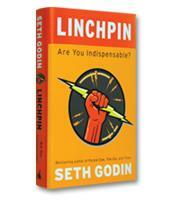 The biggest lie that master marketer Seth Godin tells in All Marketers Are Liars is the name of his book. He explains that all marketers are not, in fact, liars: They are merely storytellers. The liars, he writes, are the consumers who lie to themselves every day about what they wear, where they live, how they vote and what they do to work. Godin explains that successful marketers are just the providers of the stories that consumers choose to believe. A good story that satisfies customers, he writes, is the source of a company’s growth and profit. 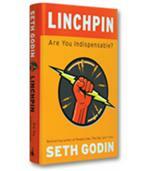 The biggest lie that master marketer Seth Godin tells in All Marketers Are Liars is the name of his book. He explains that all marketers are not, in fact, liars: They are merely storytellers. The liars, he writes, are the consumers who lie to themselves every day about what they wear, where they live, how they vote and what they do to work. Godin explains that successful marketers are just the providers of the stories that consumers choose to believe. A good story that satisfies customers is the source of a company's growth and profit. What it takes to make it work, Godin writes, is a "complete dedication to and embrace of your story." Stories are necessary to help consumers deal with the deluge of information they face every day, Godin writes, and truly great stories "succeed because they are able to capture the imagination of large or important audiences." A great story, he adds, is true, makes a promise, is trusted, is subtle, happens fast, and often appeals to our senses. Great stories don't contradict themselves, and they match our worldview by agreeing with what we already believe. Step 1: Their worldview and frames got there before you did. A consumer's worldview (the combination of his or her current rules, beliefs and biases) affects the way he or she notices things and understands them. If a story is framed in terms of that worldview, the consumer is more likely to believe it. Smart marketers, Godin explains, don't try to change someone's worldview. Instead, they identify a group of people with a certain worldview and frame their story in terms of that worldview. Since people of similar worldviews "clump together," successful marketers find a previously undiscovered clump and frame a story in the words, images and interactions that reinforce these people's biases. Step 2: People only notice the new and then make a guess. Consumers notice things when they change. As soon as they notice something new, they start making guesses about what to expect next. Step 3: First impressions start the story. A first impression causes the consumer to make a fast, permanent judgment about what he or she was just exposed to. Godin explains that "almost every important buying decision is made instantaneously. These snap decisions affect everything we do, and we'll bend over backward to defend them later." Step 4: Great marketers tell stories we believe. A story changes the way the consumer experiences a product or service. Consumers make a prediction about what will happen next and rationalize anything that does not match the prediction. Godin writes that "authentic marketing, from one human to another, is extremely powerful." Consumers and marketers win when the marketer tells a story authentically and the company creates a product or service that does what the marketer says it will do. Step 5: Marketers with authenticity thrive.Godin writes, "The authenticity of the story determines whether it will survive scrutiny long enough for the consumer to tell the story to other people." No marketing succeeds if it cannot find an audience that already wants to believe the story being told. According to Godin, there are only two things these days that separate success from failure in most organizations: Inventing stuff worth talking about and telling stories about what you've invented. The difficult job of making up great stories is the imperative of today. Marketers cannot use just any story, Godin explains. The only stories that work and spread are those that demand to be repeated. By being authentic and remarkable, the story will be believed. Godin advises marketers to just tell the best story they can imagine. For example, Godin cites Little Miss Match as one of his favorite small companies. It sells more than 134 styles of socks to preteen girls, but none of the sets are matched (or clash). The story the company tells is framed in terms of the preteen mind-set: The colorful, mismatched socks give girls something to show their friends and demonstrate their hipness. When a girl shows off her cool socks, she's hip. Then the idea spreads to other girls who never had the "I want to be edgy" mind-set. This makes the story work. Godin writes, "Make your story bigger and bigger until it's important enough to believe." In All Marketers Are Liars, Seth Godin picks up where his bestselling Purple Cow left off, digging even deeper into the concept of making remarkable products and services, and explaining the need for effective storytelling in successful marketing. With a distinct voice and a clever wit, Godin develops a clear case for using focused psychology to improve marketing.